Lately I've been loving to cook. 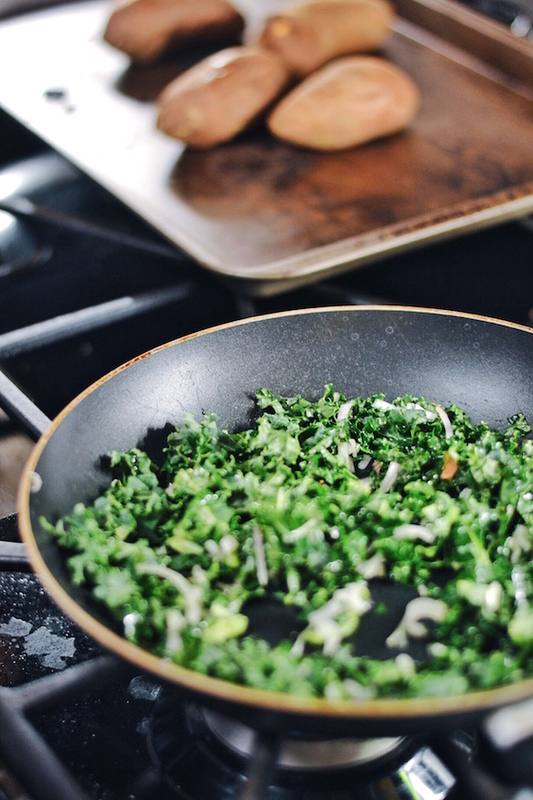 My mom has always been an incredible cook, so I've taken after her when it comes to my newfound love for cooking! 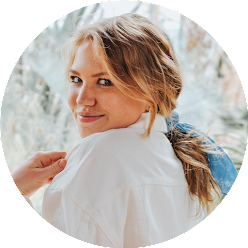 I've always been interested in it, but it hasn't been until recently that I've gotten creative and come up with original recipes. On Sunday for the Oscars I thought it would be fun if I made dinner for us and I knew I wanted something that would be both healthy and delicious! 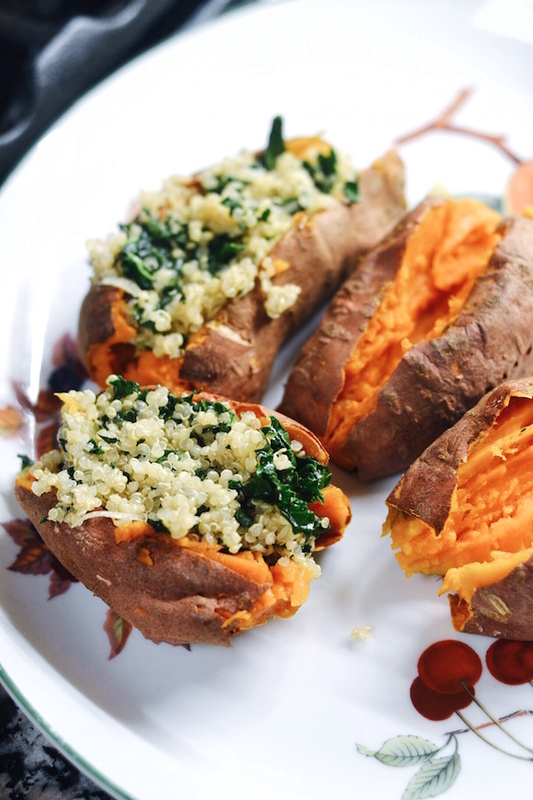 I've been addicted to sweet potatoes lately, and I decided to go ahead and create these kale and quinoa stuffed sweet potatoes to satisfy a sweet and savory and deliciously healthy appetite. 1. 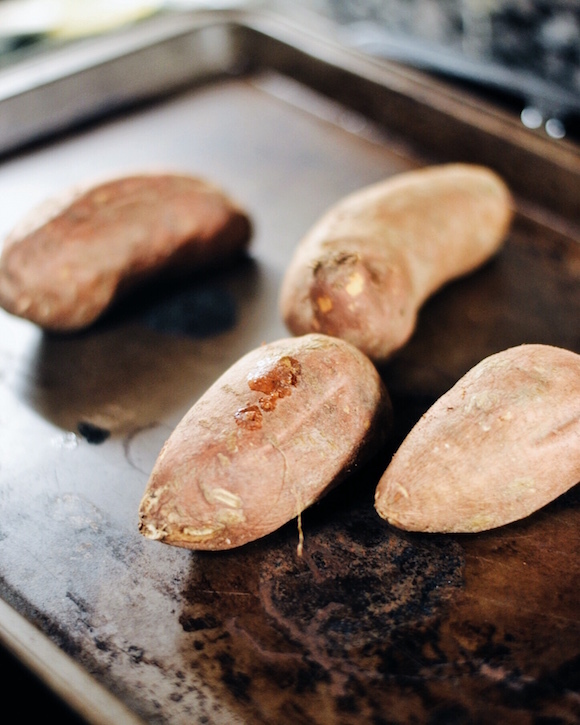 Preheat oven to 400 and bake your sweet potatoes. 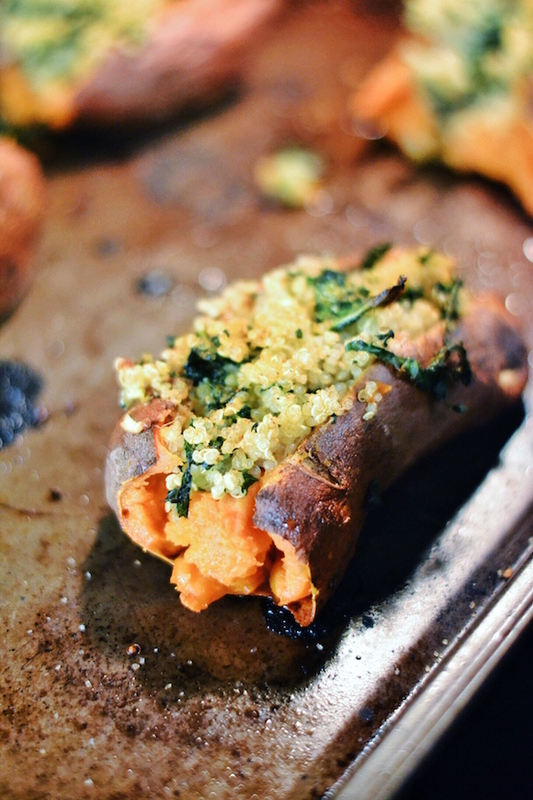 Note: I baked my sweet potatoes for 30 minutes and they were perfect, but mine were also very small. (Medium potatoes could probably do 45 minutes, and large potatoes could use an hour.) I suggest poking the potatoes with a fork a few times each and then baking directly on the oven rack. I also suggest putting a baking sheet on the lower rack to catch any drips. 2. Cook your quinoa according to package instructions. 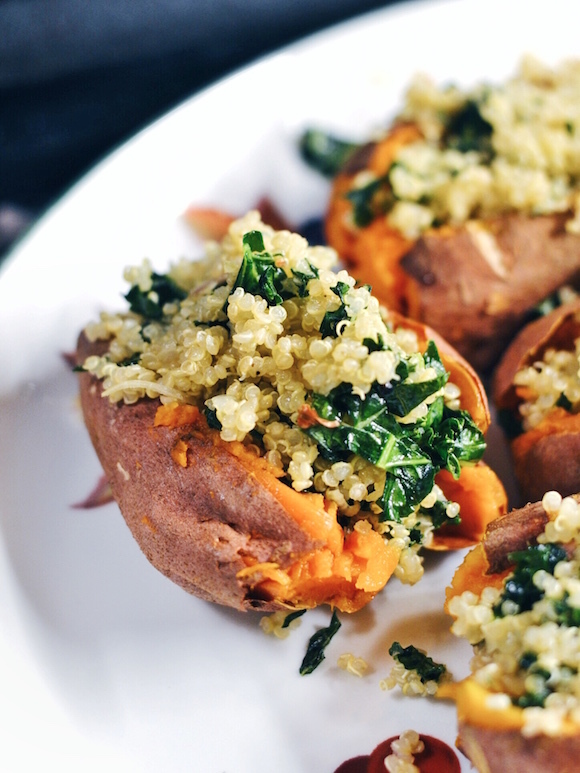 Note: This can take 15-20 minutes, so prepare to start your quinoa shortly after you've put your potatoes in. I underestimated how long the quinoa would take and ended up waiting a while for it to finish. 3. 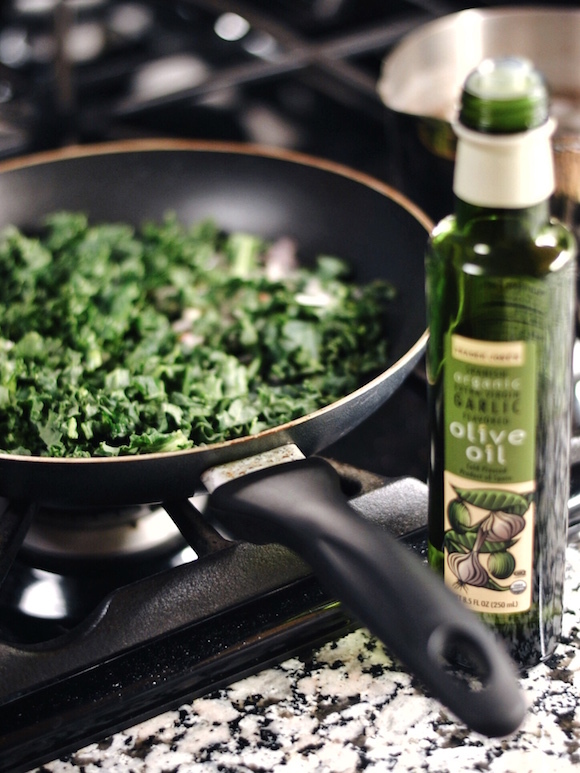 Heat about half a tablespoon of garlic olive oil in a pan and then throw in the kale and shallot. 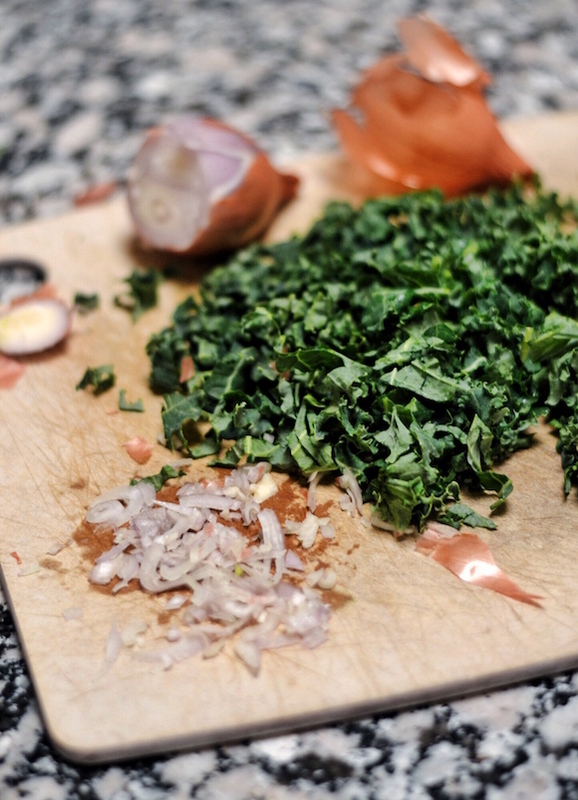 Mix around and keep on low heat, adding salt and pepper to your liking. 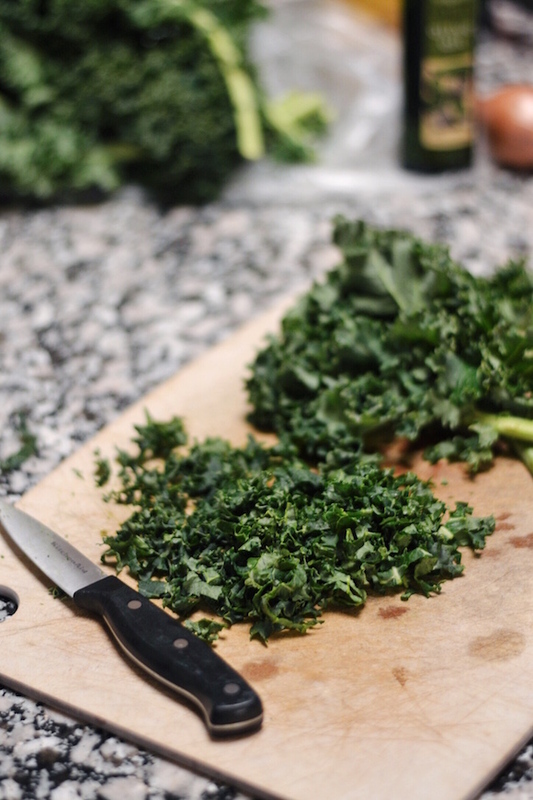 The kale will wilt and a little and eventually crisp, but it won't be that noticeable to the eye if you chopped it really small like I did. 4. 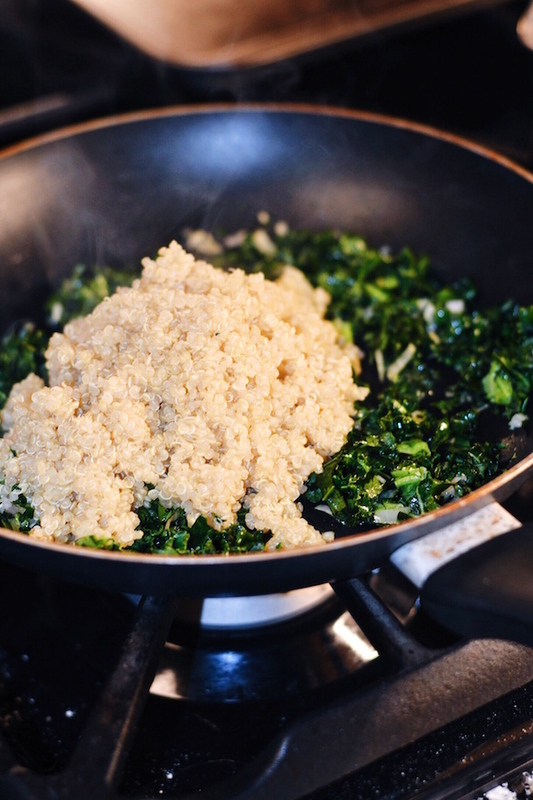 When the quinoa is cooked, add the quinoa to the pan and mix the shallot, kale, and quinoa stuffing all together. Add more olive oil if desired, and salt and pepper to taste. 5. When your potatoes are done, make a cut down the middle and prod them open with a fork. 6. Stuff your potatoes! If you want to, I drizzled mine in a little more olive oil after this and popped them back in the oven for 5-10 more minutes to add a little more flavor. And that's it! It really is an easy recipe, it just takes a little while for the potatoes to cook. 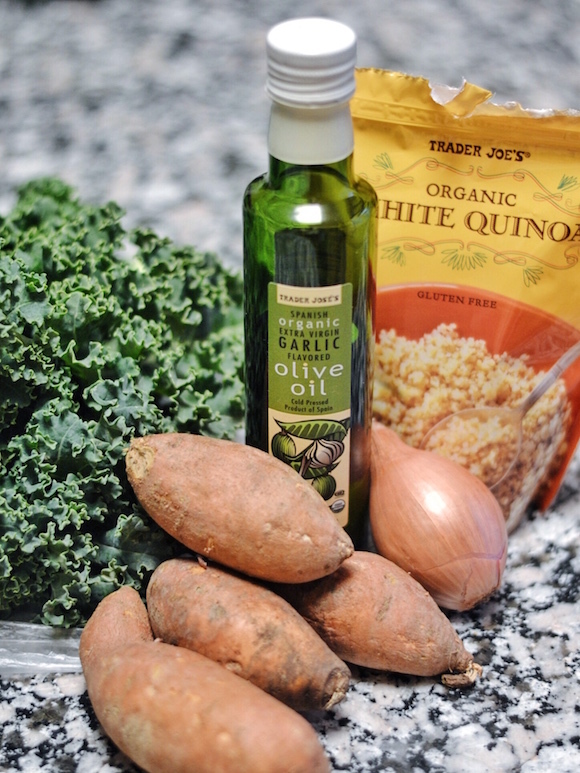 Of course, it's so healthy too, making for a perfect dinner or side dish. I even took one of the leftovers for lunch! The nice part is that it takes so few ingredients, but it's totally customizable if you switch up the spices and maybe even add a dressing. This is for sure going to become one of my new go-to's! PS: See my stuffed pepper recipe here. 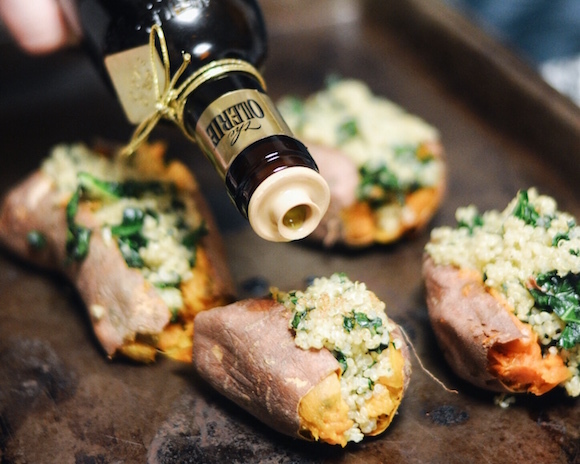 This was such a great post, loved the recipe and the photography! Can't wait to make these for myself!